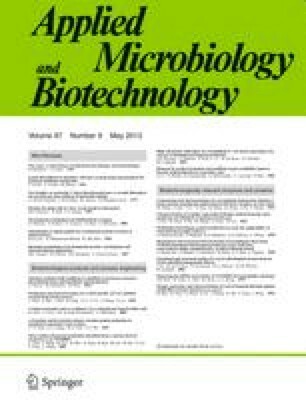 A Bacillus thuringiensis respiratory mutant (AB1 strain) that shows premature sporulation and insecticidal crystal protein (ICP) production was isolated. The mutant strain harbours the cryIC and cryID insecticidal genes and could be important for the production of ICP highly toxic to Spodoptera sp. The mutant was selected by its increased capacity to oxidize. N,N,N',N'-tetramethyl-p-phenylenediamine (TMPD). In this strain, cytochrome aa3 expression is not repressed during the sporulation phase, in contrast with the wild-type strain. The growth, spore production, dissolved O2, O2 consumption, CO2 evolution rate and ICP production were recorded as a function of time. The AB1 mutant strain has a similar growth yield to the wild-type strain, but begins sporulation at least 4 h earlier. The AB1 strain consumes 74.5% more O2 than the wild-type strain, during the fermentation process. The mutation on strain AB1 has an important positive effect on ICP production. This procedure shows that ICP production could be increased during fermentation by increasing the respiration capacity of Bacillus thuringiensis.